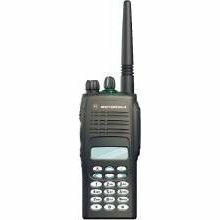 The GP380, one of the market-leading radios in Motorola's Professional Series is an effective feature-packed communication solution for any organisation. The radio offers broad functionality; an easy-to-use menu with full keypad for productivity, whilst security features protect users working alone or remotely. With option board capability and a wide range of accessories available within the Professional series; it’s easy to build a tailored communications solution to meet your needs.